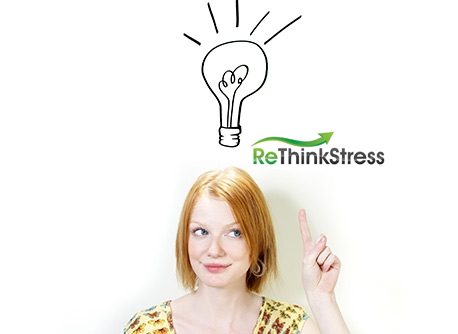 The ReThinkStress Training for corporate executives and business leaders. Designed by Ivy League researchers Shawn Achor (Harvard) and Ali Crum (Yale), and first implemented in the height of the financial collapse on Wall Street, the ReThinkStress program has proven results. By understanding that stress can be enhancing and following the ReThinkStress program, participants reported a statistically significant decrease in headaches, backaches, and fatigue and an overall increase in productivity. Now you have the chance to experience the ReThinkStress program yourself, through a video-based eCourse or an in-person training modeled after the original study as published in The Journal of Personality and Social Psychology and the additional follow up study. This course is designed for 30 or more participants. Please use the form below to contact us about bringing this live training course to your company. Shawn Achor is the author of the New York Times bestseller, The Happiness Advantage. Shawn is regarded as one of the world’s leading experts on the connection between happiness and success. Shawn was one of the lead researchers on the ReThinkStress project. Dr. Alia Crum is an Adjunct Professor of Management and Postdoctoral Scholar at Columbia Business School. Her research examines the effect of mindsets–the lenses through which information is perceived, organized, and interpreted –on important outcomes such as work performance, interpersonal behavior, and physiological health. Alia is the lead author on the foundational rethinking stress research, published in the Journal of Personality and Social Psychology. Eric Karpinski is a positive psychology corporate trainer, keynote speaker and coach who co-produced the ReThinkStress on-line program and leads in-person ReThinkStress trainings. His engaging presentations and trainings bring the power of positive psychology into immediate practice for participants. For clients interested in replicating the original RethinkStress study as cited in the The Journal of Personality and Social Psychology, we offer an in-person version of the ReThinkStress training. It benefits any organization who wants to decrease stress, increase productivity, improve teamwork, enhance performance potential, build a competitive advantage and create sustainable positive change—by creating a happier and more engaged workforce.